With a primary focus on education, cultural development and athletics, day camps are great opportunities for children to try something new. 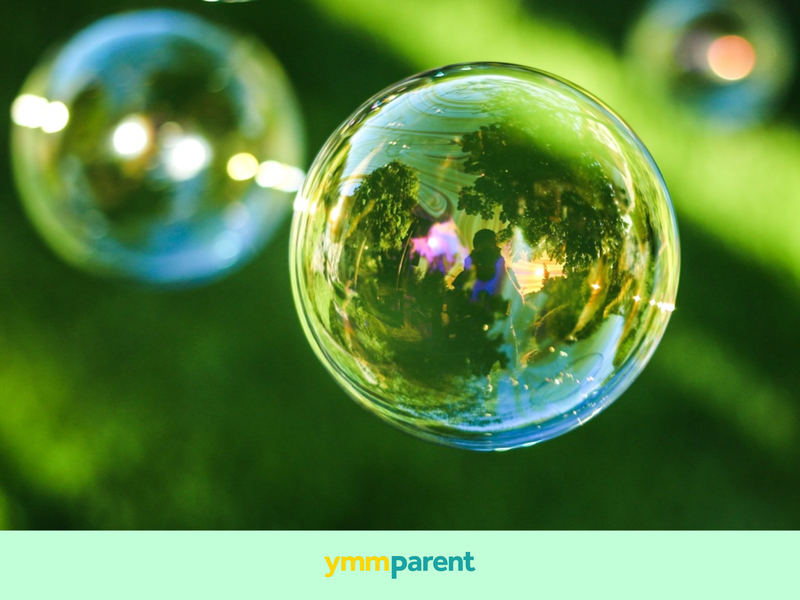 And, because some of the programs continue throughout the school year, it can also be the perfect time to do a test-and-trail to see if they would like to take part on a long-term basis. 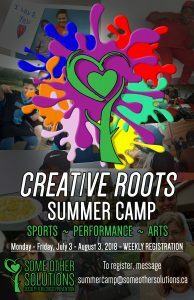 “Based on the mentorship model built by the Child & Youth Team, Some Other Solutions’ Creative Roots Summer Camp provides young people in the community a fun way to stay active over the summer months while empowering them to become leaders of tomorrow,” said Justin Shaw, Events & Marketing Program Coordinator. Camp dates are available on a weekly basis starting on July 3 to August 3 for children and youth aged 7 to 16 from 8:30 a.m. to 4:30 p.m. for a rate of $100 per week with a one-time $45 registration fee, which includes a camp shirt. Each week has a different theme, guest instructors for group activities and a wide variety of games and exercises focused on sports, arts and performance. TO REGISTER: Click HERE or drop into Some Other Solutions at 202A-8706 Franklin Avenue. Full details are available on the site. For further inquiries, email summercamp@someothersolutions.ca. 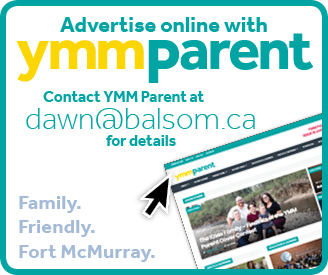 “We have a wonderfully safe and peaceful environment for our historical and pioneer-themed camps,” said Tammy Plowman, Program and Office Manager of the Fort McMurray Historical Society. Camp dates are available from July 2 to August 17 for ages five to 12 with rates from $185 to $250. The 17th Annual Theatre Camp: Anne of Green Gables is held for three weeks for ages nine to 18 for a rate of $600. TO REGISTER: Click HERE or drop into Heritage Village Gift Shop at 1 Tolen Drive. For further inquiries, email Tammy Plowman at programs@fmheritage.com. 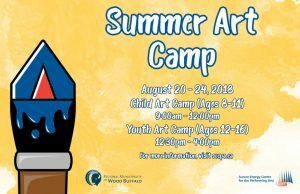 Through a partnership with the Regional Municipality of Wood Buffalo, the Suncor Energy Centre for Performing Arts is providing an affordable and accessible Summer Art Camp. “Children and youth students will experience the basic foundation of art base on realistic subject lesson using different techniques, such as drawing, painting, outdoor landscape painting (weather permitting), and some idea and creativity with their own individual projects,” said Kristsana Naowakhun, Local Artist and Instructor at the Suncor Centre for the Performing Arts. Camp dates are available from August 20 to August 24 for both child (ages 8 to 11) and youth (ages 12 to 16). The cost $150 and includes the use of brushes and paints. Some additional supplies will be required to purchase and a list will be provided after registration. 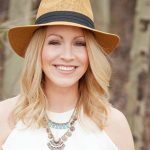 “Students will be taught by qualified 3rd-degree black belt instructors to learn martial arts and anti-bullying strategies,” said Master Sandy Bowman, Owner of Bowman’s MMA, said of the Mixed Martial Arts Camp. Camp dates are available from July 9 to July 13 and July 23 to July 27 for ages four and up with a rate of $125.00, which includes a t-shirt and uniform. The camps run from 10:30 a.m. to 2:30 p.m. 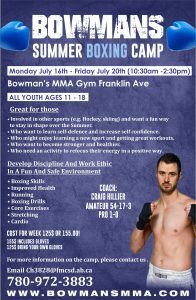 The Summer Boxing Camp dates are available from July 16 to July 20 for ages 11 to 18 from 10:30 a.m. to 2:30 p.m. with a rate of $155 with gloves included and $125, if you bring your own gloves. TO REGISTER: Drop into Bowman’s MMA at 8706 Franklin Avenue or email Sandy Bowman at mfscanada@gmail.com or text 780-881-6637 for the Mixed Martial Arts. And, for Boxing, email Ch3828@fmcds.ab.ca or call 780-972-3882. Learn more at www.bowmansmma.com. The programs at Early Start Learning Centre are designed to build confidence, self-esteem, social skills and school readiness. Each week, they have a fun theme. Their curriculum and lessons are designed to develop co-operation, friendship skills and gross motor coordination. 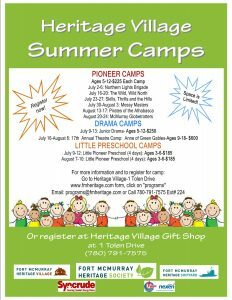 Camp dates are available from July 2 to August 24 for ages 20 months to four and a half years old with a variety of rates based on the number of days per week and number of weeks. 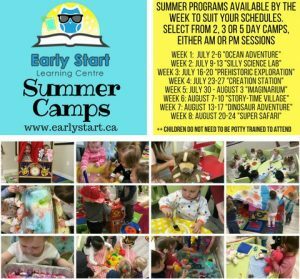 The morning classes run from 9 a.m. to 11:30 p.m. and the afternoon classes run from 1 p.m. to 3:30 p.m.
TO REGISTER: Visit the Early Start Learning Centre at 164-101 Thickwood Boulevard, email earlystartfmc@gmail.com or call 587-258-8332. 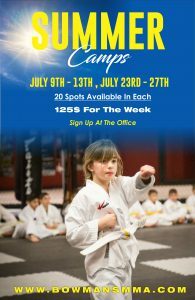 Even More Day Camps Available!!! Whether your child is a rookie or an experienced day camper, chances are they will make memories and friends to last a lifetime.